Any list of the hottest action figures out there certainly includes Sora and his companions from Kingdom Hearts. And here are some of the greatest Sora figures in one place, along with Goofy and Donald. Kingdom Hearts has been thrilling gamers since its debut in 2002. The cheerful main character, Sora, is a teen who fights against the forces of evil alongside Mickey Mouse and other nostalgic Disney favorites in this cross-over with Final Fantasy. Part of this role-playing game’s appeal is the all-star cast of voices including official Disney character voices. Sora and his allies journey through the Disney and Pixar worlds of Frozen, Tangled, Halloween Town, and more, while Sora carries the Keyblade, the ultimate weapon in the fight against the Heartless. Fans can’t get enough of Sora’s adventures with his Disney pals. The original Kingdom Hearts is the tenth best-selling PlayStation 2 game of all time. Sequels and new editions continue to roll out and be met with high demand. When Kingdom Hearts III was released earlier this year it became the fastest-selling game in the series, with over $5 million in sales in the first week. With bright colors and intricate details, these Kingdom Hearts action figures are some of the best. Have your Keyblade at the ready and celebrate Sora and his quest by collecting these special must-have characters from the Kingdom Hearts games. Nendoroid action figures are instantly recognizable, with their saturated colors and detailed facial expressions. 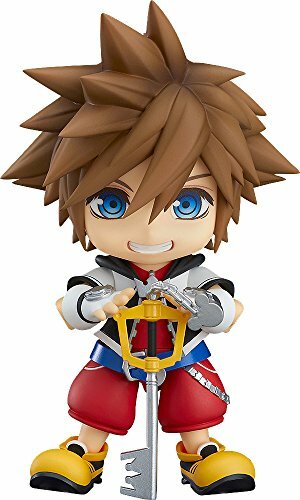 This Nendoroid edition of Sora is no different. He comes with two different Keyblades for displaying him in action-packed poses. He is fully articulated and includes three faceplates — a playful smile, a confident look, and a sleeping face. A special stand lets you display Sora performing the unlocking scene while floating in air. Share Sora’s experiences anytime when you have this figure in your collection. If you have Sora, you have to have his friend and rival Riku, too. He looks amazing in this Nendoroid edition, with shining eyes and bright colors. 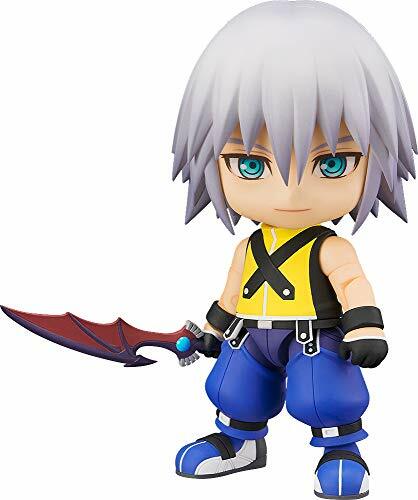 Riku comes with two faceplates, a smiling expression and cool look, because you never know what he’s up to. This figure comes with the Soul Eater and Oblivion Keyblades and is fully articulated. Bring the action home with you today! Collect all the Amazon exclusive S.H. Figurarts editions of the Kingdom Hearts II characters. This Sora is beautifully sculpted in great detail. 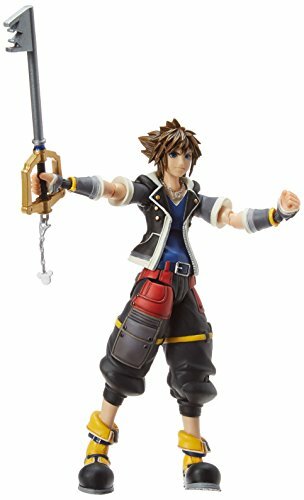 The action figure is posable and features two different sets of hands, two face plates, and a Keyblade. 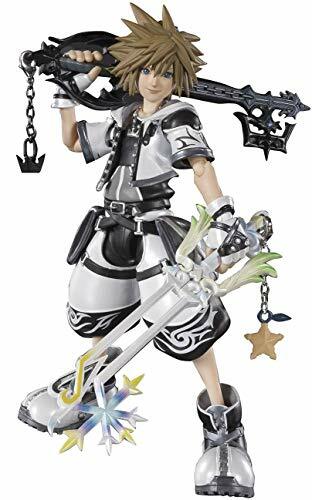 Add this Keyblade wielder to your Sora collection. Check out the Play Arts Kai Sora from the brand-new Kingdom Hearts III. 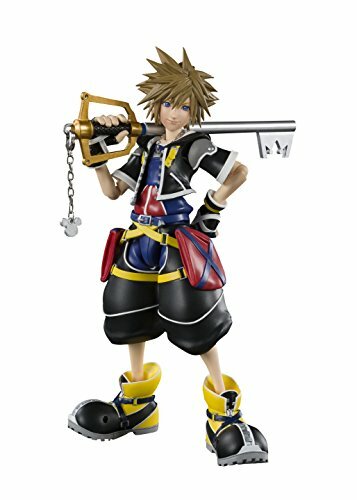 The enhanced graphics of the game are captured in this updated, detailed Sora action figure. His Keyblade doubles as a crossbow. The figure is flexible and posable. 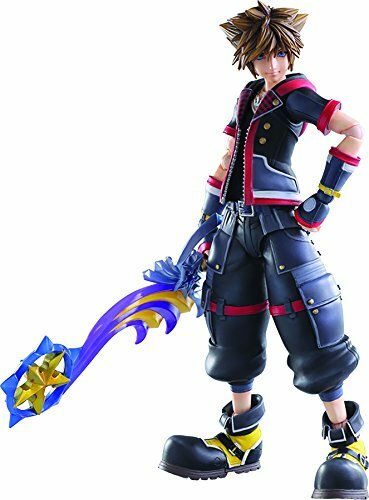 Be sure to pick up this Sora Second Form figure from Kingdom Hearts III. It’s a must-have piece for any Sora collector. Subtle differences in his outfit make him stand out from other Sora forms. This figure is articulated and comes with a display stand and alternate hands and head to pose in different ways. Trusty ally Donald from Kingdom Hearts II comes with his weapon, two faceplates, and several alternate hands for holding weapons and casting spells. This Amazon-exclusive S.H. 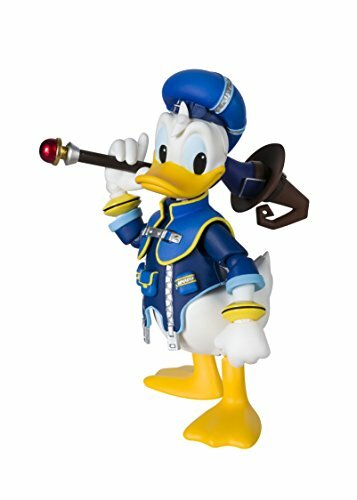 Figuarts editions features Donald in his detailed Kingdom Hearts Royal Magician outfit. One of the most lovable Disney characters, Goofy is also an admirable companion in Kingdom Hearts. This S.H. 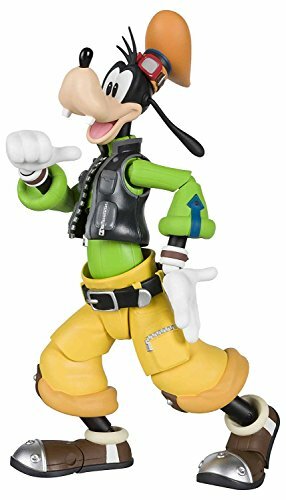 Figuarts Goofy action figure from Kingdom Hearts II has three faceplates, alternate hands and a head, and a display stand. An exquisitely detailed Captain of the Royal Knights costume makes this Amazon-exclusive truly something special. King Mickey is an experienced Keyblade master and ruler of the Disney Castle. 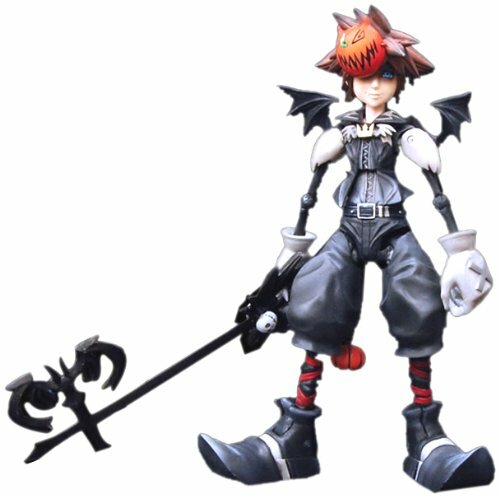 Although he’s one of the smaller characters, he’s also one of the most powerful in the Kingdom Hearts universe. This Kingdom Hearts II action figure features interchangeable hands and three facial expressions. He has a removable hood and comes with a Keyblade. 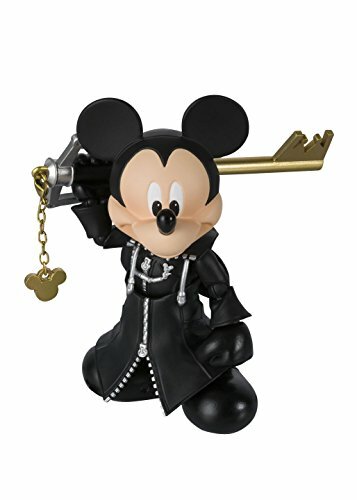 This figure is great for any Mickey Mouse collector as well as Kingdom Hearts fans. Sora's Final Form joins the hugely popular SH Figuarts Kingdom Hearts series! Rendered in gorgeous pearlescent colors, the Kingdom Hearts II Sora Final Form SH Figuarts Action Figure P-Bandai Tamashii Exclusive includes 2x weapons, optional hands, and 2x optional face parts. Measures about 5 1/10-inches tall. Eye-catching pearlescent colors depict Sora in his Final Form in Kingdom Hearts II. This S.H. Figuarts exclusive has two Keyblades and alternate hands and faceplates for a variety of poses. Capture the magic that Sora possesses when he unlocks this special form by capturing this action figure today. This special edition Sora commemorates his visit to Halloween Town, one of the many worlds he visits in Kingdom Hearts on a his quest. He wears striped socks and batwing details, helping him blend in with the Halloween Town residents. This action figure completes any Sora collection.